Spring migration has come to a screeching halt. We had a very nice land-fall a couple of weeks ago, but weather patterns have largely pushed the migrates to the west of Florida. Even a visit today by the Calusa Bird Club to the migrate hot spot at Fort DeSoto, in Pinellas County, as reported by Vince McGrath, only yielded a couple of passerine migrants. At Six-Mile Cypress Slough Preserve today we , Ron Bishop and Walt Wintondid find a Northern Waterthrush and lots of Gray Catbirds. But mostly we found the expected natives like Carolina Wrens and Northern Cardinals. We still have a lot of interesting birds that are seen year round. Here are a few. Spring migration has arrived here in Southwest Florida. The waterfowl, sparrows, harriers and yellow-rumped warblers have departed. The dunlins, dowitchers and piping plovers will be gone soon. And the neo-tropics are now passing through. Weather conditions dictate what, if any, migrants passing through will stop here for a rest. A week ago we had a very nice land-fall of warblers and swallows. The lighthouse on Sanibel Island is the spring hot spot for birding these resting birds. I visited there this morning and most of our earlier visitors had already moved on. Was able to see my FOS sightings of Magnificent Frigatebird and Barn Swallows, plus a Worm-eating Warbler, a single Palm Warblers and a gorgeous Prairie Warbler. But that earlier land-fall was very rewarding. 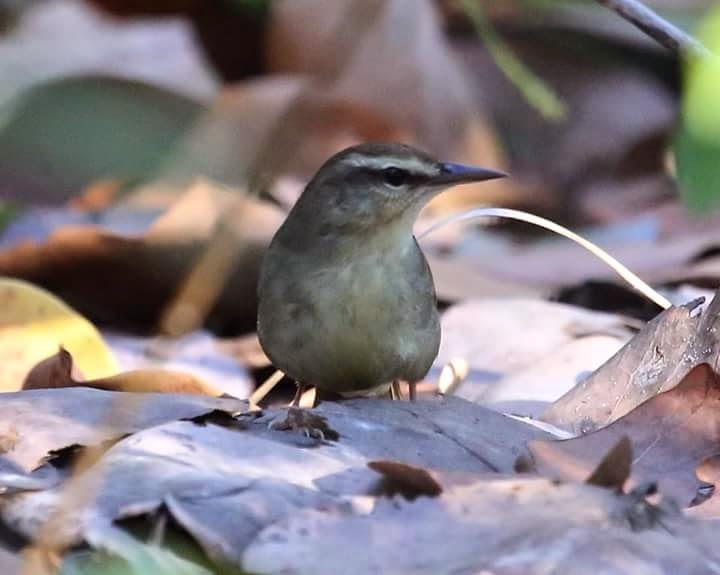 I couldn't participate till the third day when I was able to see a Swainson's Warbler, several Hooded Warblers, a Worm-eating Warbler, many White-eyed, Blue-headed and Red-eyed Vireos. Also saw Prothonotary, Northern Parulas, Black-and-White, Prairie and Palm Warblers. A beautiful Swallow-tailed Kite was hunting the tree tops as well. 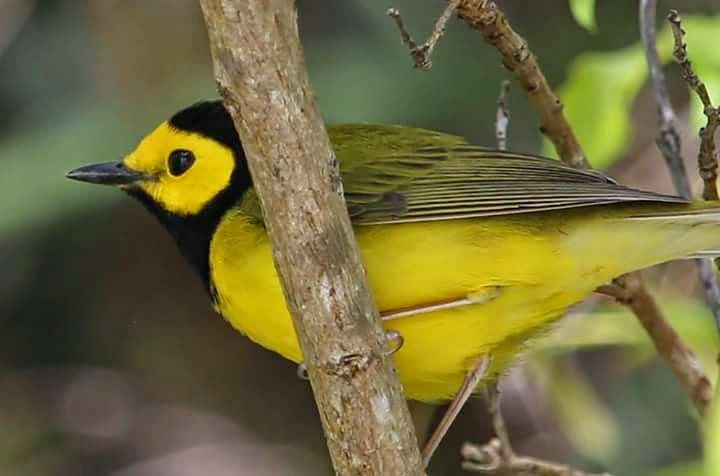 Dipped on the Kentucky Warbler and Oven Bird observed by others. 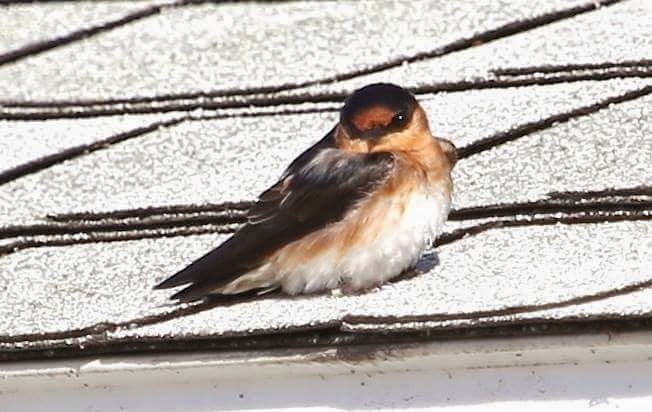 A rare to our area cave Swallow at Sanibel Lighthouse. On the first couple of days of this land-fall exhausted Barn, Tree, Cliff and even a rare to our area Cave Swallow were observed. All of the previously mentioned warblers and vireos were reported. Gray and Eastern Kingbirds, Indigo Buntings and a suspected Lazuli Bunted have also been reported. I had a suspected first season female cerulean warbler at Six-mile Cypress Preserve. Hopefully we'll be treated to more colorful migrants passing through. 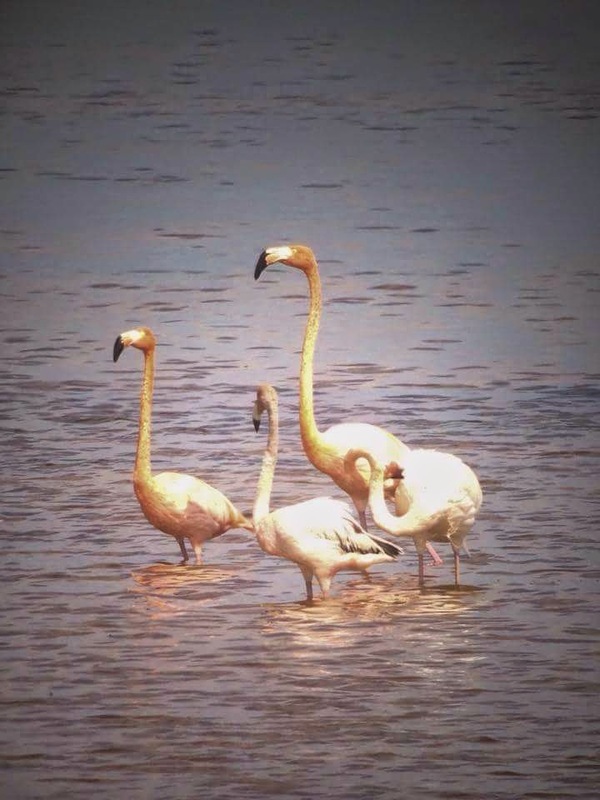 Another interesting spring migrant are a hand full of Greater Flamingos that have been returning to an isolated and off-limits sight in western Palm Beach county. Seem that varying numbers of these birds have been visiting in the spring for the last several years. The word got last year about this population and the Miami Herald posted an article about a count of 143 at that time. So far this year only eight have been reported. Limited access has been made available by reservation, but quickly filled up. My friends Dr Jose Padilla and Dave and Tammy McQuade managed to participate in the first tour of the sight and were successful. So many visitors to Florida think that they have seen a flamingo, by misidentified the much more common Rosette Spoonbill. But they can be seen, rarely, even on occasion in our area. The best bet is a winter visit to Snake Bight. This is a shallow section of Florida Bay abutting Everglades National Park. Access here is either walking the Snake Bight Trail to its terminus or kayaking to the location from the marina at Flamingo.